Today's #StyleSteals is all about Fall Combos!! Steal these styles and more with 20% off the whole Fall Color Combo collection! The Fall collection will feature 3 different Fall color combos, Marsala & Deep Navy, Plumb & Dried Herb, and Dark Teal & Cadmium Orange. The "Steals" for this deal are the Paula cap toe ankle bootie for $24.95 & our Tera Scarf for $7.95. 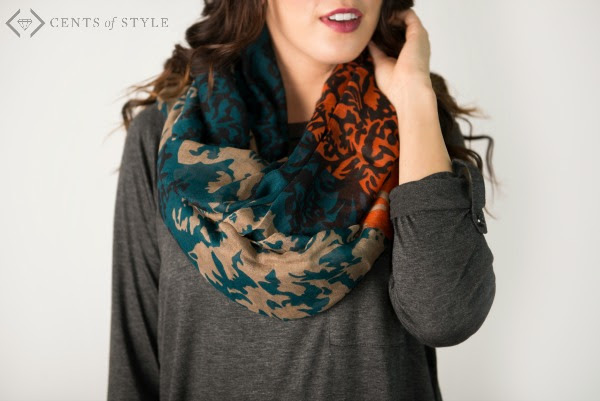 Style Look Style Steals - 11/9/15 - Fall Combos (Ankle Bootie $24.95 & Damask Scarf $7.95) & FREE SHIPPING w/code FALLSHADES . 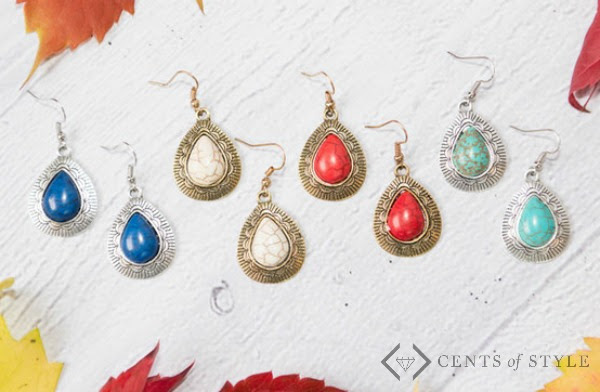 Additionally at checkout they will offering a stone drop earring in 4 different colors for $2.99! COMBINE & FEEL FINE. Mix, match & add layers of Fall colors to your wardrobe. Plum & Dried Herb - Military green will never go out of style. Perfectly pairing it with Plum this year adds a richness that we all can salute! Joyce (plum) & Jordan beanie Olive. 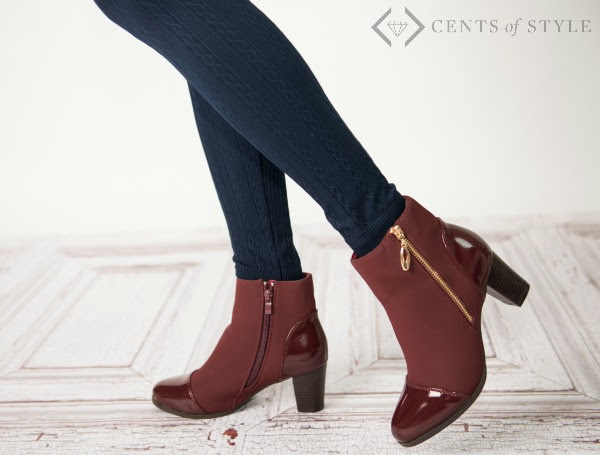 Style Look Style Steals - 11/9/15 - Fall Combos (Ankle Bootie $24.95 & Damask Scarf $7.95) & FREE SHIPPING w/code FALLSHADES.